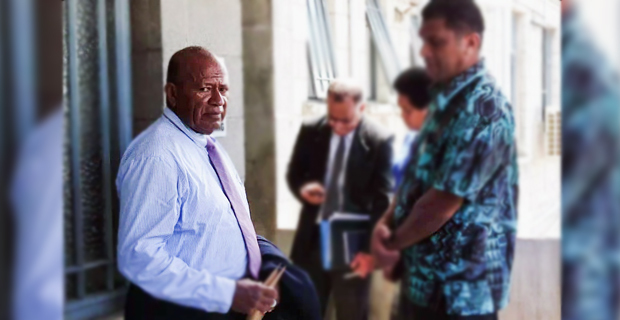 The appeal case of Naitasiri High Chief, Ratu Inoke Takiveikata has been fixed for hearing before the Court of Appeal next month. Takiveikata appeared before the President of the Court of Appeal, Justice William Calanchini today. Takiveikata is appealing his conviction and sentence. He was convicted and sentenced in 2011 for inciting mutiny by Justice Daniel Goundar. Takiveikata was sentenced to life imprisonment with a non‑parole term of 8 years. According to the particulars of charge that had been filed by the prosecution, Takiveikata between 6 August 2000 and 24 September 2000 at Suva advisedly attempted to incite Captain Stevens and Sergeant Bonafasio knowing that they were serving in the Fiji Military Forces to commit to the mutinous act of joining in combination with the other members of the Fiji Military Forces to execute a takeover of the Queen Elizabeth Barracks in Suva. In his notice of appeal, Takiveikata had relied upon six grounds of appeal against conviction and one against sentence. The hearing is on 23rd May 2019.